A major cement industry exhibition and conference, CEMENTTECH is a unique opportunity to meet industry key players from all over the world: equipment suppliers, cement producers, design institutes, chemical additives operators, shipping and trading companies. In 2016, CEMENTTECH welcomed more 100 exhibitors and further developed its role as an international showcase for cement industry innovations and trends, and as a business booster to help exhibitors generate even more useful leads. Crucial concerns in the cement industry nowadays, sustainable development and over-capacity were among the pivotal themes of the event. 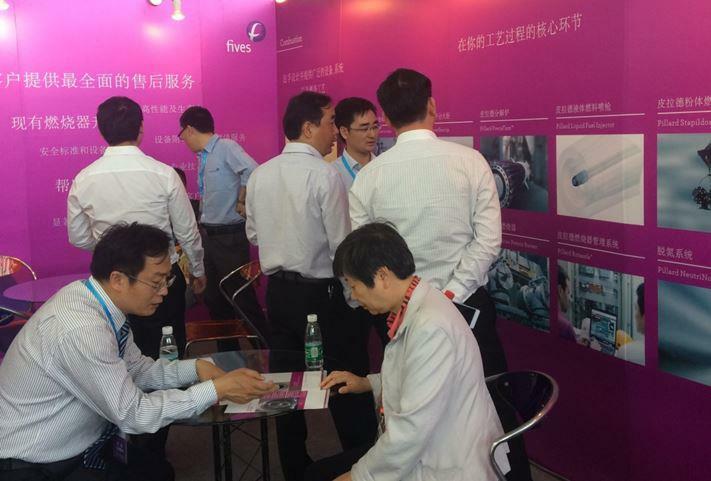 On its stand, Fives’ team promoted Pillard ultimate combustion equipment, as well as control system’s applications. The sales team met some of their customers and potential customers who knew about the good reputation of Pillard kiln burners, and more especially Pillard NovaFlam®. Thanks to its expert teams and global service offer, Fives provides custom design equipment and solutions to match the customers’ requirements and expectations worldwide.